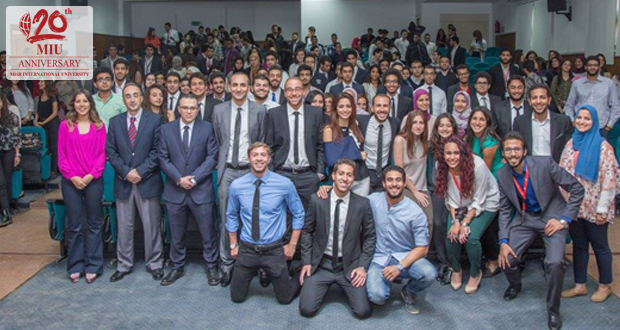 Misr International University always encourages its students to gain more experiences that help them understand the market and work environment. The Stock Market Simulation (SMS) is one of the activity clubs at MIU that was created in 2003 with the aim of offering students the basic knowledge of the stock market and the experience of trading through a virtual simulation. Recent certified sessions and activities include, “Foreign currency certificates of deposit” with the National Bank Of Egypt, “Your guide to navigate the stock market” with EFG Hermes, “How to understand the basic of stock market and experience the stock market simulation” with Nefertari International School and a mini event on the “History and current updates of the petro dollar” – with much more to come.